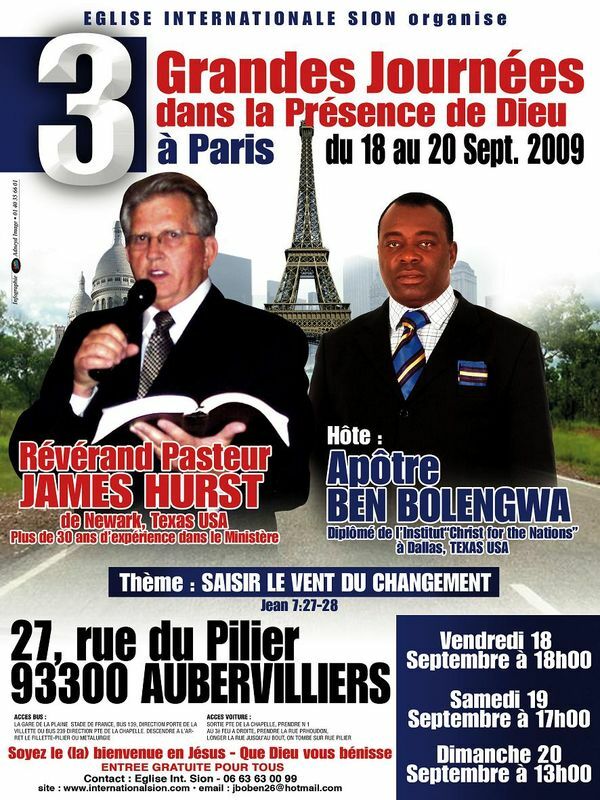 L' EGLISE INTERNATIONALE SION/ FRANCE ET L' APOTRE BEN BOLENGWA. DEUX JOURNÉES EXCEPTIONNELLES DANS LA PRÉSENCE DIVINE. 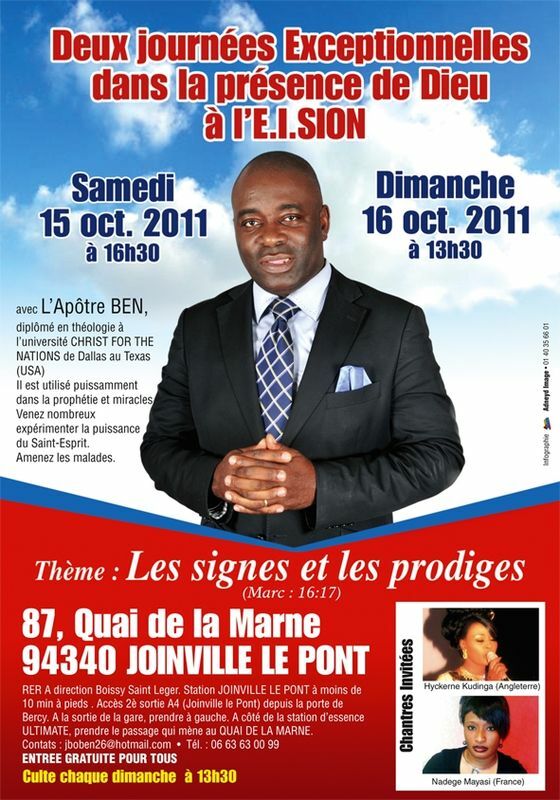 I ere CONVENTION DES FEMMES DE DISTINCTION 2010.
papa, c´est bien moi ton fils chris thoto ,ici en sur la photo "wpe10" de l'album "Eglise Internationale Sion et l' Apôtre Ben Bolengwa Benkindo N"
salutation sur DEUX JOURNÉES EXCEPTIONNELLES DANS LA PRÉSENCE DIVINE. L' Eglise Internationale Sion is a God's Network with aim for preaching the gospel of Jesus-Christ to all people of the world and winning of souls.